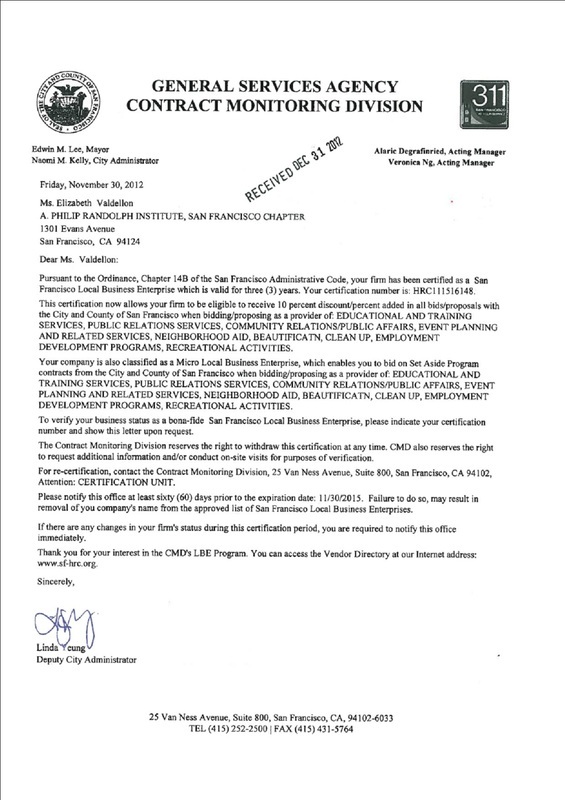 The A. Philip Randolph Institute San Francisco is an Local Business Enterprise (LBE) certified as a Non-Profit organization by the City & County of San Francisco General Services Agency's Contract Monitoring Division. The A. Philip Randolph Institute was established by co-founders A. Philip Randolph and Bayard Rustin in 1965. 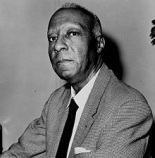 A. Philip Randolph is credited with organizing and initiating the March on Washington for Jobs and Freedom, one of the most iconic and largest political rallies for human rights in United States history. Speakers at the March included Martin Luther King (SCLC), Floyd McKissick (CORE), John Lewis (SNCC), Roy Wilkins (NAACP), Witney Young (National Urban League) and Walter Reuther (AFL-CIO). Martin Luther King concluded the March with his famous "I Have a Dream" speech. The San Francisco Chapter carries on A. Philip Randolph's legacy today continuing the fight for jobs and freedom.